A large folder by Kaj Embretsen. 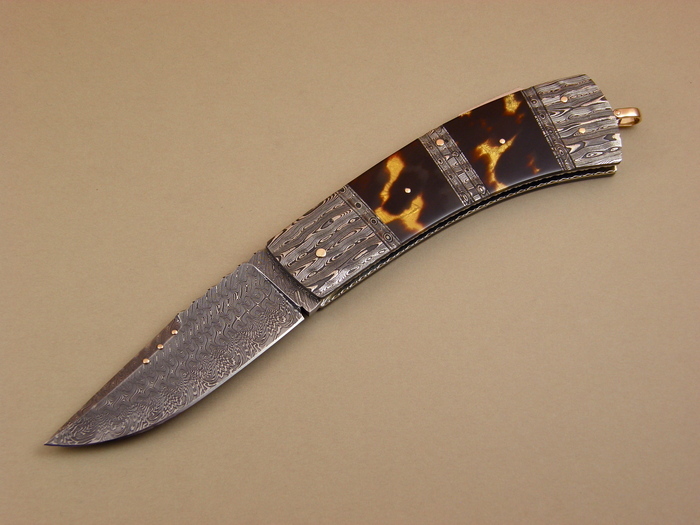 This knife has a 4" blade and an overall length of 9". 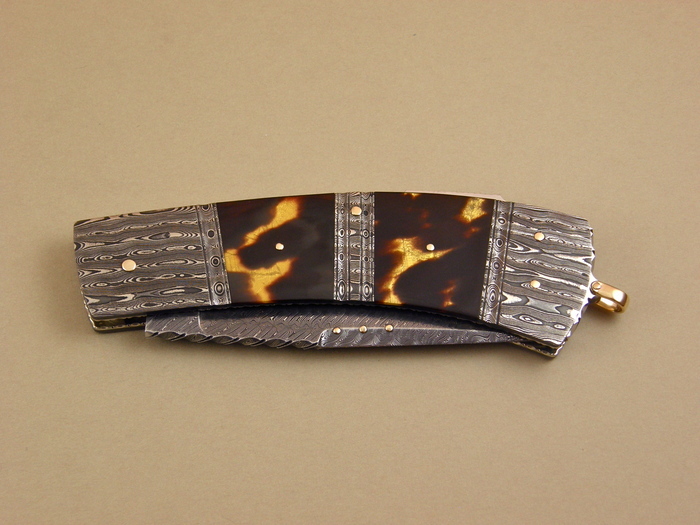 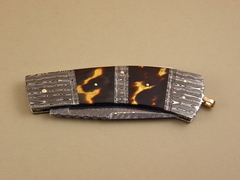 It is a triple bolster with exotic handle material.